This week is something slightly different to my normal post. It's a bit of a haul post, as I've picked up some bits and bobs from a few places for Lexie this week. I noticed my favorite shop had a sale on H&M online so I bagged some bargains. These tassel boots was reduced from £34.99 to £10.00 and these star short ankle boots from £17.99 to £10. 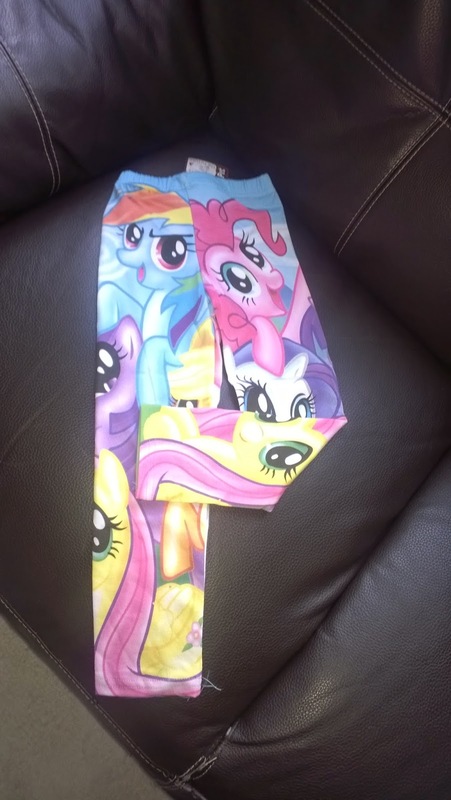 I got one in her size then the next one in a size bigger. Lexie loves wearing boots, but she totally wrecks hers at nursery when she is playing on the bikes outside the front gets all scuffed and they look so bad. So I thought it would be nice for her to have a decent pair for on the weekends and school holidays. 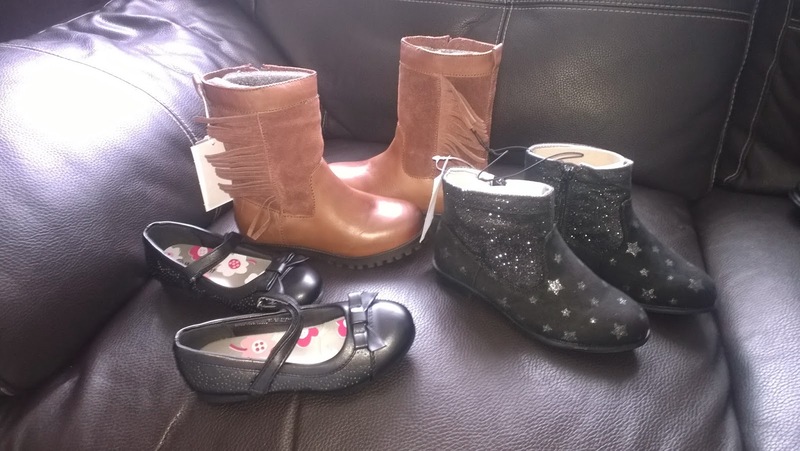 The ballerina shoes was from Shoezone and was £9.99, perfect for nursery. 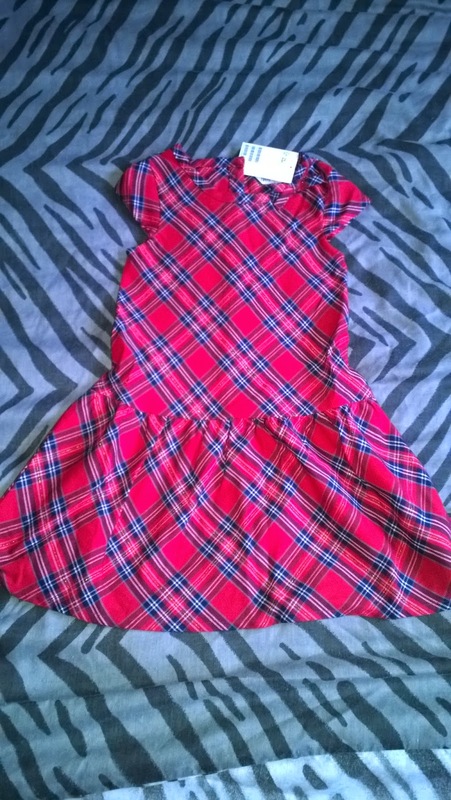 Next was this lovely tartan dress, checked tartan does suit Lexie and she looks lovely in red. I always thought it would clash with her hair but it really suits her. Reduced from £12.99 to £6.